I’m always puzzled when I see church billboards announcing a coming revival. They give the times and the dates when the church will be engaged in revival. But I wonder, how can anybody possibly schedule a revival? True revivals are provoked by the sovereign work of God through the stirring of His Holy Spirit in the hearts of people. They happen when the Holy Spirit comes into the valley of dry bones (Ezek. 37) and exerts His power to bring new life, a revivification of the spiritual life of the people of God. This kind of thing cannot be manipulated by any human program. Historically, no one scheduled the Protestant Reformation. The Welsh revival was not on anyone’s agenda, nor was the American Great Awakening penciled into someone’s date book. These epic events in church history resulted from the sovereign work of God, who brought His power to bear on churches that had become virtually moribund. But we have to understand the difference between revival and reformation. Revival, as the word suggests, means a renewing of life. When evangelism is a priority in the church, such outreach will often bring about revival. However, these revivals of spiritual life do not always result in reformation. Reformation indicates changing forms of church and society. Revivals grow into reformations when the impact of the gospel begins to change the structures of the culture. Revival can produce a multitude of new Christians, but these new Christians have to grow into maturity before they begin to make a significant impact on the surrounding culture. Reformation can involve a change for the better. We must not be so naïve as to think that all change is necessarily good. Sometimes when we feel that we are in the doldrums or that progress has been stultified, we cry out for change, forgetting for the moment that change may be regressive rather than progressive. If I drink a vial of poison, it will change me, but not for the better. Nevertheless, change is often good. In our day, we have seen the rise of what has been called the “New Calvinism,” which tends to focus primarily on the so-called five points of Calvinism. This movement within the church has attracted a great deal of attention, even in the secular media. Yet it would be wise to not identify Calvinism exhaustively with those five points. Rather, the five points function as a pathway or a bridge to the entire structure of Reformed theology. Charles Spurgeon himself argued that Calvinism is merely a nickname for biblical theology. He and many other titans of the past understood that the essence of Reformed theology cannot be reduced to five particular points that arose centuries ago in Holland in response to controversy with the Arminians, who objected to five specific points of the system of doctrine found in historic Calvinism. For the purposes of this article, it might be helpful to look at both what Reformed theology is and is not. 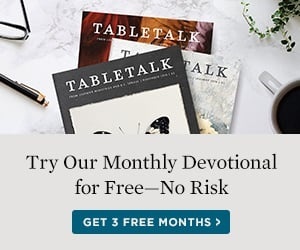 Reformed theology is not a chaotic set of disconnected ideas. Rather, Reformed theology is systematic. The Bible, being the Word of God, reflects the coherence and unity of the God whose Word it is. To be sure, it would be a distortion to force a foreign system of thought upon Scripture, making Scripture conform to it as if it were some kind of procrustean bed. That is not the goal of sound systematic theology. Rather, true systematic theology seeks to understand the system of theology that is contained within the whole scope of sacred Scripture. It does not impose ideas upon the Bible; it listens to the ideas that are proclaimed by the Bible and understands them in a coherent way. Reformed theology is not anthropocentric. That is to say, Reformed theology is not centered on human beings. The central focal point of Reformed theology is God, and the doctrine of God permeates the whole of Reformed thought. Thus, Reformed theology, by way of affirmation, can be called theocentric. Indeed, its understanding of the character of God is primary and determinant with respect to its understanding of all other doctrines. That is to say, its understanding of salvation has as its control factor — its heart — a particular understanding of God’s sovereign character. Reformed theology is not anticatholic. This may seem strange since Reformed theology grew directly out of the Protestant movement against the teaching and activity of Roman Catholicism. But the term catholic refers to catholic Christianity, the essence of which may be found in the ecumenical creeds of the first thousand years of church history, particularly those of the early church councils, such as the Council of Nicea in the fourth century and the Council of Chalcedon in the fifth century. That is to say, those creeds contain common articles of faith shared by all denominations that embrace orthodox Christianity, doctrines such as the Trinity and the atonement of Christ. The doctrines affirmed by all Christians are at the heart and core of Calvinism. Calvinism does not depart on a search for a new theology and reject the common base of theology that the whole church shares. Reformed theology is not Roman Catholic in its understanding of justification. This is simply to say that Reformed theology is evangelical in the historical sense of the word. In this regard, Reformed theology stands strongly and firmly with Martin Luther and the magisterial Reformers in their articulation of the doctrine of justification by faith alone, as well as the doctrine of sola Scriptura. Neither of these doctrines is explicitly declared in the five points of Calvinism; yet, in a sense, they become part of the foundation for the other characteristics of Reformed theology. All this is to say that Reformed theology so far transcends the mere five points of Calvinism that it is an entire worldview. It is covenantal. It is sacramental. It is committed to transforming culture. It is subordinate to the operation of God the Holy Spirit, and it has a rich framework for understanding the entirety of the counsel of God revealed in the Bible. So it should go without saying that the most important development that will bring about reformation is not simply the revival of Calvinism. What has to happen is the renewal of the understanding of the gospel itself. It is when the gospel is clearly proclaimed in all of its fullness that God exercises His redeeming power to bring about renewal in the church and in the world. It is in the gospel and nowhere else that God has given His power unto salvation. If we want reformation, we have to start with ourselves. We have to start bringing the gospel itself out of darkness, so that the motto of every reformation becomes post tenebras lux — “after darkness, light.” Luther declared that every generation must declare freshly the gospel of the New Testament. He also said that anytime the gospel is clearly and boldly proclaimed, it will bring about conflict, and those of us who are inherently adverse to conflict will find it tempting to submerge the gospel, dilute the gospel, or obscure the gospel in order to avoid conflict. We, of course, are able to add offense to the gospel by our own ill-mannered attempts to proclaim it. But there is no way to remove the offense that is inherent to the gospel message, because it is a stumbling block, a scandal to a fallen world. It will inevitably bring conflict. If we want reformation, we must be prepared to endure such conflict to the glory of God.